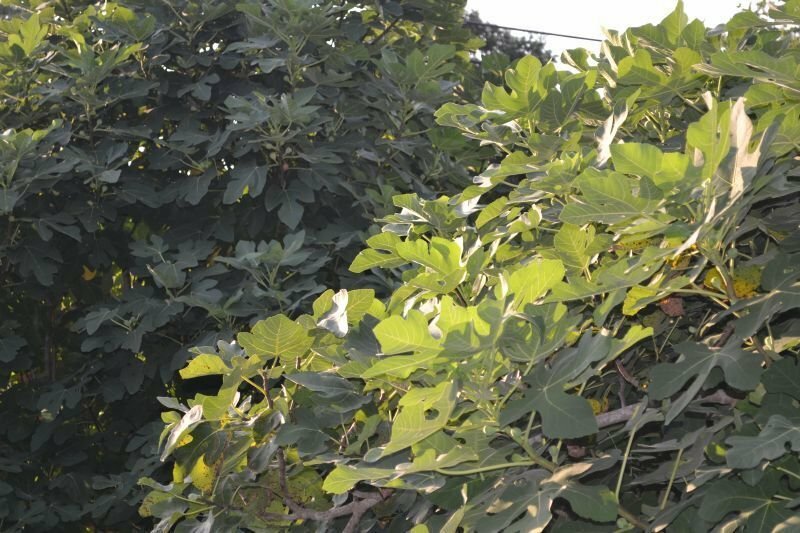 One of my earliest memories of childhood is hiding under my grandmother's fig tree, while playing hide and seek. It was an enormous tree, with branches that spread to cover much of the side yard. 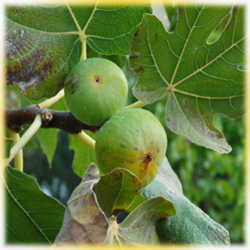 And every year, my grandmother would go out with a bucket and pick the figs to put up preserves. My brother and I used to get smaller bowls, and we would help pick. 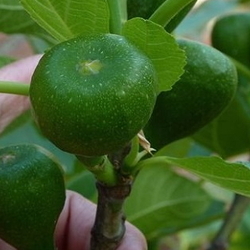 I have a fig tree at my house, in North Central Texas. When my husband and I moved in, it was tiny. It's gotten much bigger since my husband's calculated pruning, but for the past few years, we've had nice spring weather (causing the tree to produce green figs) followed by a late frost (causing most of them to fall off). We usually get a couple dozen figs. But not this year. We pretty much skipped spring and went straight on to summer. 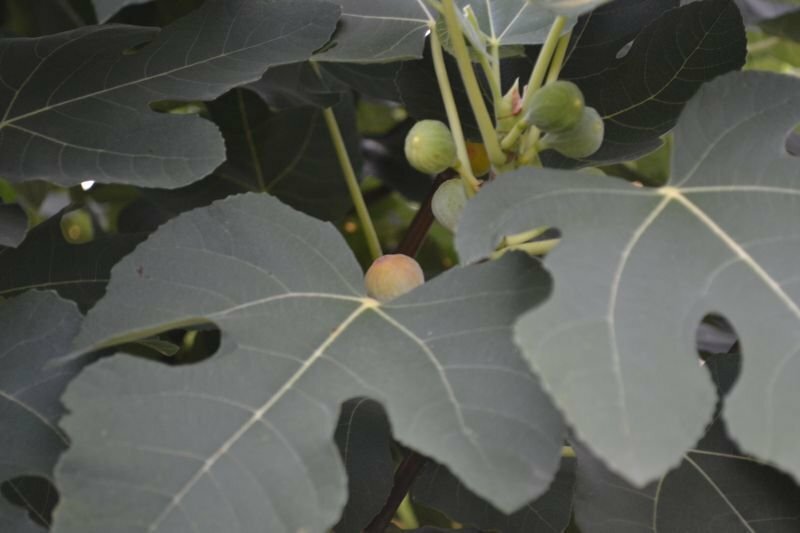 We've already pulled about ten pounds of figs off the tree, and there are plenty more still out there ripening and plenty of rain in the forecast to make sure they do. 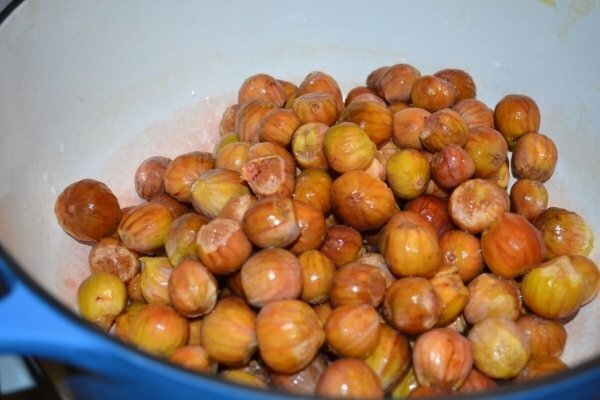 I never got my grandmother's recipe for fig preserves, so we've been experimenting with a number of figgy recipes. First, we did a basic Fig Spread, followed by a Brown Sugar and Ginger Fig Spread . (Sorry, I didn't take pics of the process for these). Then I decided to have a go at Figs Preserved in Brandy (which turned out to be a perfect ice cream topper). At the same time, my husband made a Strawberry, Fig and Almond Tart, (adapting the recipe to include some glops of a glorious strawberry jam, which we canned last week). 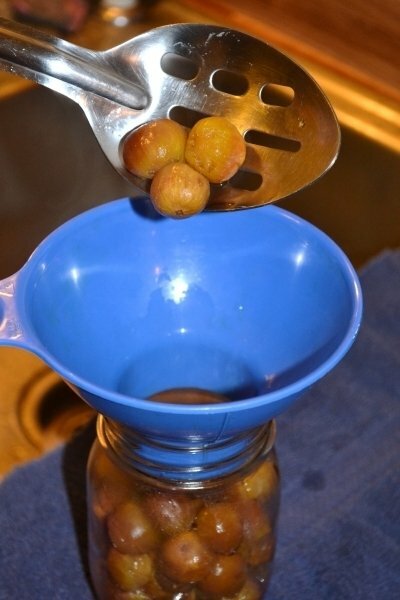 Over the weekend, I gave a class on The Fundamentals of Canning out at the local university. I had the students go around the room and tell the class what had gotten them interested enough in canning to invest the time and cash to take a class. While a couple of them mentioned wanting to save money, everyone in the room had a story to share, about growing up with an orchard and enjoying Mom's apple butter and plum jam, or of Grandma preserving green beans using a pressure cooker. Foods from our childhood make such an impact on our lives. Canning and sharing those foods allows us to preserve our memories and gives us the perfect excuse to share our stories too. 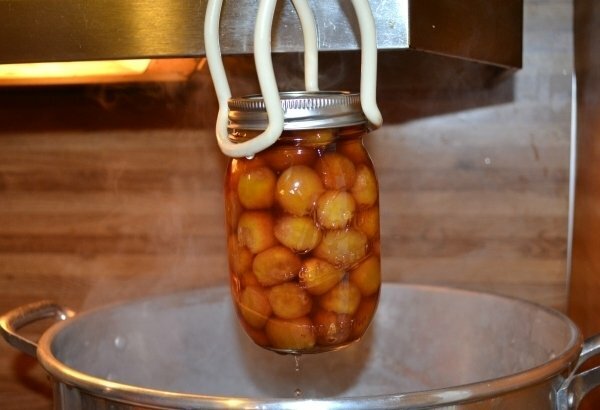 If you've never tried canning, first PLEASE make sure you have some reliable information on food safety and a tested recipe, but then have a go at preserving some figs, if you have access to them (though of course, remember to have some fresh with goat cheese, or in a tart) . At the very least, you will be able to remember this fleeting summer when you open that jar of fig spread when the first nip of winter is in the air. Cut 10 tbsp. unsalted butter into pieces, and work it into the flour mixture using a pastry blender or two knives. 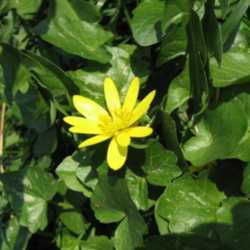 Add 2-3 tbsp. ice water, and form the dough into a ball. Flatten it into a disk, wrap in plastic wrap and refrigerate for at least an hour. 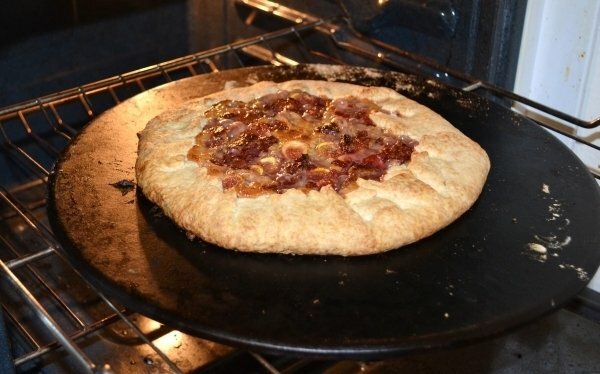 When the dough is ready to come out of the fridge, roll it out into a circle on a baking stone. Layer the cheese mixture onto the dough (leaving a border). 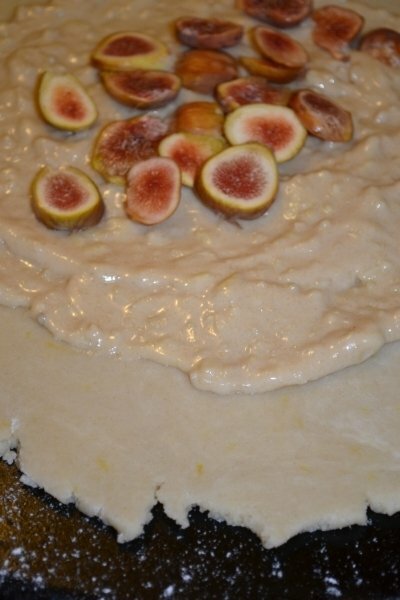 Rinse and slice a dozen figs and arrange them over the cheese. Top with between ¼ and ½ c. chunky strawberry jam. 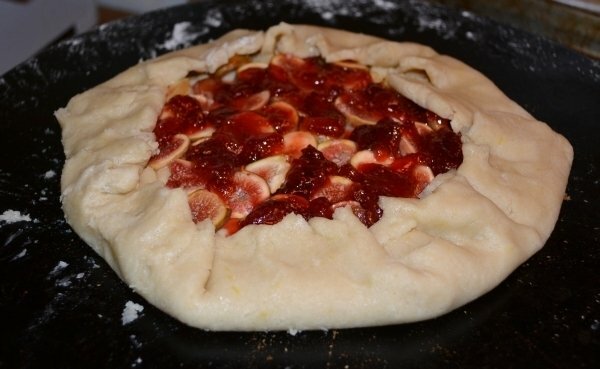 Fold the dough back over, forming a rustic edge to the tart. Bake 35-40 minutes at 400 degrees F.